Andra’e Byrd, Sarah Voloschuk (Director of Front Office Operations Hilton Cleveland Downtown), Tahsi Osuji and Philip Williams stand in the lobby at Hilton Cleveland Downtown. 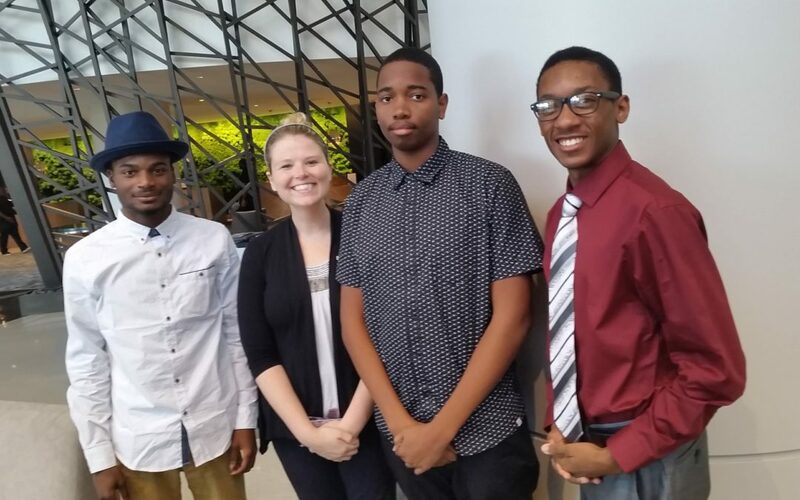 Byrd, Osuli and Williams participated in the Council for Economic Opportunities’ pilot Young Adult program, which helps young people connect with schools and employers in the Cleveland area. All three graduates were offered full-time positions at Hilton Cleveland Downtown. Congratulations to all those involved in the program. We’ll be following up to see how their new jobs are going in the coming months. We’ll post any updates here. Stay tuned!